Fresh Air Interview: Journalist Isabel Wilkerson - Exploring The Great African-American Migration More than 6 million African-Americans moved from the South to cities in the Northeast and Midwest between 1915 and 1970. 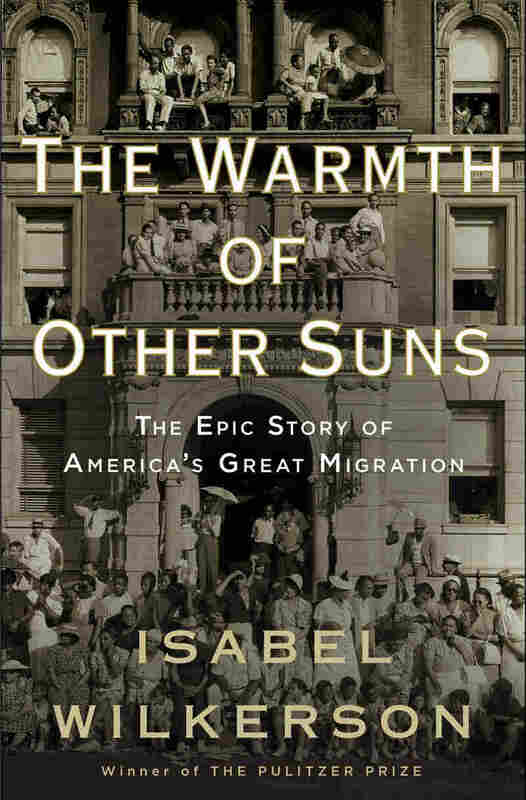 Pulitzer Prize-winning journalist Isabel Wilkerson documents the resulting demographic and social changes in her history of the Great Migration, The Warmth of Other Suns. 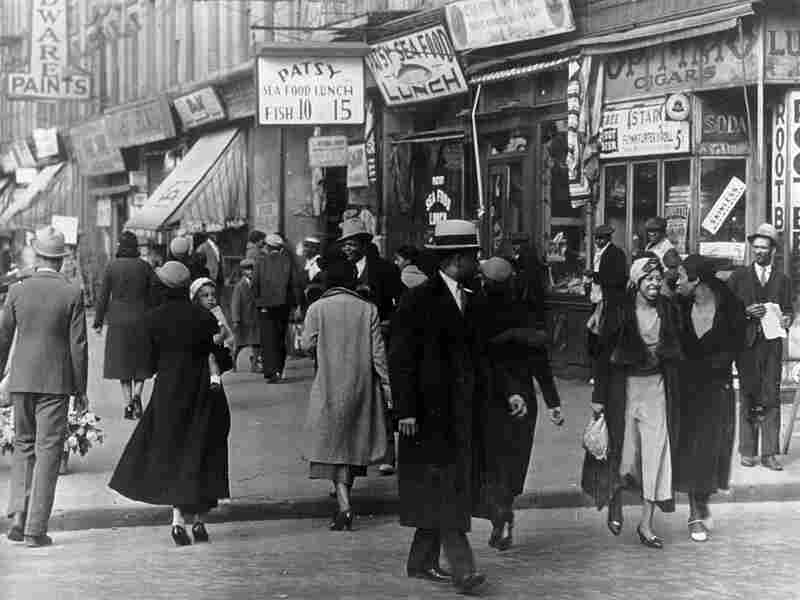 In the 1920s, Harlem's African-American population exploded — with nearly 200,000 African Americans inhabiting a neighborhood where there had been virtually no blacks 15 years earlier. Above, a Harlem street in 1942. Between 1915 and 1970, more than 6 million African-Americans moved out of the South to cities across the Northeast, Midwest and West. This relocation -- called the Great Migration -- resulted in massive demographic shifts across the United States. Between 1910 and 1930, cities such as New York, Chicago, Detroit and Cleveland saw their African-American populations grow by about 40 percent, and the number of African-Americans employed in industrial jobs nearly doubled. "[The Great Migration] had such an effect on almost every aspect of our lives -- from the music that we listen to to the politics of our country to the ways the cities even look and feel, even today," says Isabel Wilkerson. "The suburbanization and the ghettos that were created as a result of the limits of where [African-Americans] could live in the North [still exist today.] And ... the South was forced to change, in part because they were losing such a large part of their workforce through the Great Migration." Wilkerson, whose parents were part of the Great Migration, details the mass exodus of African-Americans in her new book, The Warmth of Other Suns. The book weaves together three narratives of ordinary people -- a sharecropper's wife, a surgeon and a farm worker -- making their way from the South to an uncertain future up North. During her research for the book, Wilkerson interviewed more than 1,000 people who made the migration from the South to Northern and Western cities. Interestingly, many of the people who Wilkerson encountered -- who moved during the time period of 1915 to 1970 -- had no idea that they were even part of the Great Migration. "Sometimes they would even say, 'Well, I migrated from Texas to Los Angeles in 1947, would that mean that I was part of it?' And that would mean they were right smack in the middle of it. But they didn't see themselves as that, partly because these decisions were individual personal decisions," she explains. "And in some ways, to me, that's one of the inspiring and powerful things about the Great Migration itself. There was no leader, there was no one person who set the date who said, 'On this date, people will leave the South.' They left on their own accord for as many reasons as there are people who left. They made a choice that they were not going to live under the system into which they were born anymore and in some ways, it was the first step that the nation's servant class ever took without asking." 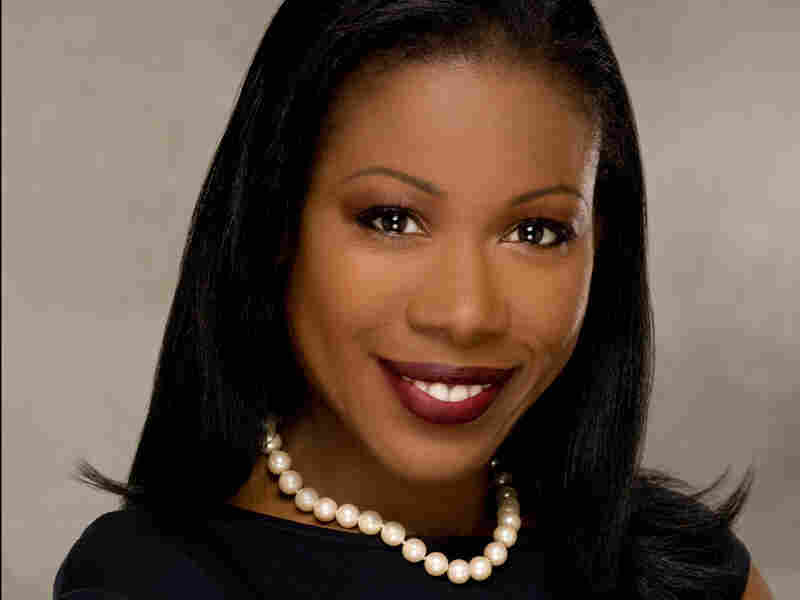 Isabel Wilkerson won the Pulitzer Prize in 1994 for her coverage as the Chicago bureau chief of The New York Times. She is a professor in the College of Communications at Boston University and has received the George S. Polk Award, a Guggenheim Fellowship and the Journalist of the Year Award from the National Association of Black Journalists. Isabel Wilkerson studied journalism at Howard University in Washington, D.C.
"There were colored and white waiting rooms everywhere, from doctors offices to the bus stations. ... But there were actually colored windows at the post office in Pensacola, Fla. And there were white and colored telephone booths in Oklahoma. There were separate windows were white people and black people would go to get their license plates in Mississippi. And there were even separate tellers to make your deposits at the First National Bank in Atlanta. It was illegal for black people and white people to play checkers together in Birmingham. And there were even black and white Bibles to swear to tell the truth on in many parts of the South." "At the beginning of the 20th century, before the migration began, 90 percent of all African-Americans were living in the South. By the end of the Great Migration, nearly half of them were living outside the South in the great cities of the North and West. So when this migration began, you had a really small number of people who were living in the North and they were surviving as porters or domestics or preachers -- some had risen to levels of professional jobs -- but they were, in some ways, protected because they were so small. They did not pose any threat. There was a kind of alchemy or acceptance of that small minority of people in these cities. So when you had this great wave and flood of people coming in from the South, many of them untutored and unaware of the ways of the big cities, it was in some ways threatening to those who were already there because they feared the positions that they had worked so hard to achieve -- that was tenuous at best in these big cities -- and that's why there was a great deal of resistance." "My parents absolutely did not think of themselves as part of the Great Migration. They knew they were part of a great wave. No one really talked about it in those terms or gave it a name. I grew up surrounded by people who were from North Carolina, South Carolina, Georgia -- all around me. My parents' friends were all from there. They socialized with people from there. They were quite ambitious and competitive among themselves, bragging about that they were going to put their child through Catholic school because that was going to give them a better chance at succeeding. My parents sent me to a school across town, an integrated school, where I had the chance to meet and grow up with people who were from other parts of the world. ... I remember feeling that I would never have anything to contribute on St. Patrick's Day. I couldn't tell the stories that they might have been telling about their forebears and I felt left out, and only when I got older, and began reporting from different cities outside of Washington ... there were people who migrated from parts of the South to Chicago and Detroit and Los Angeles and San Francisco. And I began to put these pieces together and it began to hit me that this was so much like the immigration experience of so many others." The night clouds were closing in on the salt licks east of the oxbow lakes along the folds in the earth beyond the Yalobusha River. The cotton was at last cleared from the field. Ida Mae tried now to get the children ready and to gather the clothes and quilts and somehow keep her mind off the churning within her. She had sold off the turkeys and doled out in secret the old stools, the wash pots, the tin tub, the bed pallets. Her husband was settling with Mr. Edd over the worth of a year's labor, and she did not know what would come of it. None of them had been on a train before -- not unless you counted the clattering local from Bacon Switch to Okolona, where, "by the time you sit down, you there," as Ida Mae put it. None of them had been out of Mississippi. Or Chickasaw County, for that matter. Miss Theenie stood watching. One by one, her children had left her and gone up north. Sam and Cleve to Ohio. Josie to Syracuse. Irene to Milwaukee. Now the man Miss Theenie had tried to keep Ida Mae from marrying in the first place was taking her away, too. Miss Theenie had no choice but to accept it and let Ida Mae and the grandchildren go for good. Miss Theenie drew them close to her, as she always did whenever anyone was leaving. She had them bow their heads. She whispered a prayer that her daughter and her daughter's family be protected on the long journey ahead in the Jim Crow car. "May the Lord be the first in the car," she prayed, "and the last out." When the time had come, Ida Mae and little James and Velma and all that they could carry were loaded into a brother-in-law's truck, and the three of them went to meet Ida Mae's husband at the train depot in Okolona for the night ride out of the bottomland. He was getting out alive. So he didn't let it bother him. "I got on the car where they told me to get on," he said years later. He hadn't had time to bid farewell to everyone he wanted to. He stopped to say good-bye to Rachel Jackson, who owned a little café up on what they called the Avenue and the few others he could safely get to in the little time he had. He figured everybody in Egypt town, the colored section of Eustis, probably knew he was leaving before he had climbed onto the train, small as the town was and as much as people talked. It was a clear afternoon in the middle of April. He folded his tall frame into the hard surface of the seat, his knees knocking against the seat back in front of him. He was packed into the Jim Crow car, where the railroad stored the luggage, when the train pulled away at last. He was on the run, and he wouldn't rest easy until he was out of range of Lake County, beyond the reach of the grove owners whose invisible laws he had broken. The train rumbled past the forest of citrus trees that he had climbed since he was a boy and that he had tried to wrestle some dignity out of and, for a time, had. They could have their trees. He wasn't going to lose his life over them. He had come close enough as it was. He had lived up to his family's accidental surname. Starling. Distant cousin to the mockingbird. He had spoken up about what he had seen in the world he was born into, like the starling that sang Mozart's own music back to him or the starling out of Shakespeare that tormented the king by speaking the name of Mortimer. Only, George was paying the price for tormenting the ruling class that owned the citrus groves. There was no place in the Jim Crow South for a colored starling like him. He didn't know what he would do once he got to New York or what his life would be. He didn't know how long it would take before he could send for Inez. His wife was mad right now, but she'd get over it once he got her there. At least that's what he told himself. He turned his face to the North and sat with his back to Florida. In the dark hours of the morning, Pershing Foster packed his surgery books, his medical bag, and his suit and sport coats in the trunk, along with a map, an address book, and Ivorye Covington's fried chicken left over from Saturday night. He said good-bye to his father, who had told him to follow his dreams. His father's dreams had fallen apart, but there was still hope for the son, the father knew. He had a reluctant embrace with his older brother, Madison, who had tried in vain to get him to stay. Then Pershing pointed his 1949 Buick Roadmaster, a burgundy one with whitewall tires and a shark-tooth grille, in the direction of Five Points, the crossroads of town. He headed in the direction of Desiard Street, the main thorough- fare, and, without a whiff of sentimentality, sped away from the small-town bank buildings and bail bondsmen, the Paramount Theater with its urine-scented steps, and away from St. Francis Hospital, which wouldn't let doctors who looked like him perform a simple tonsillectomy. Perhaps he might have stayed had they let him practice surgery like he was trained to do or let him walk into the Palace and try on a suit like anyone else of his station. The resentments had grown heavy over the years. He knew he was as smart as anybody else -- smarter, to his mind -- but he wasn't allowed to do anything with it, the caste system being what it was. Now he was going about as far away as you could get from Monroe, Louisiana. The rope lines that had hemmed in his life seemed to loosen with each plodding mile on the odometer. 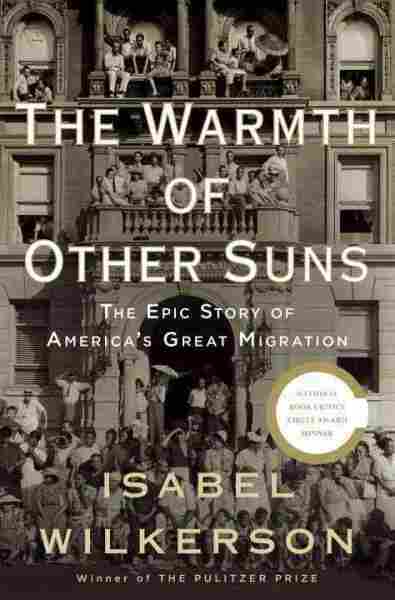 Excerpted from The Warmth of Other Suns: The Epic Story of America's Great Migration by Isabel Wilkerson. Copyright 2010 by Isabel Wilkerson. Excerpted by permission The Random House Publishing Group of Random House, Inc. All rights reserved.